Last month, I sat through a demo of BriefCatch, a new Word add-on developed by lawyer and legal writing expert, Ross Guberman, who is profiled here. As described in the companion post, BriefCatch is a Word add-on that will suggest grammatical and stylistic changes to a proposed brief and score it based on five different criteria. BriefCatch is fairly easy to use. After installing BriefCatch , it appears as a tab in Word. Users simply click the tab and can choose one of four options: catch, clear, stats and report. BriefCatch will show and explain editing options that users can accept or reject. And the program will also score the draft and issue s summary report with a quick overview of overused words and assessment of strengths and weaknesses. Below in Part I, you’ll find screenshots from my test run of BriefCatch. My review of the product follows in Part II. Below is an example of how BriefCatch works in action, using the briefs in the recent Supreme Court decision in Hall v. Hall as an example because it’s a modern-day Cinderella story of a solo lawyer pulling out a 9-0 victory at the court. As a bonus, the Petitioner was represented by one of my friend and colleague, Andy Simpson — also MyShingle’s first Shingular Sensation — while the Respondents were represented by Neil Katyal of Hogan Lovells, a firm that I’ve gone up against many times and dependably turns out some of the best legal writing around. If you’re interested in seeing the actual briefs, you can find them at SCOTUS Blog. The screen shots below show how BriefCatch works on both the Petitioner’s brief (on the left) and Respondent’s brief (on the right). These screens show how BriefCatch scores the briefs. BriefCatch examines predictable features like sentence length, but also more practical ones that make a difference to the reader: reading happiness, punchiness, plain English and flow. After all, a brief may have perfect grammar but still prove dull as nails to read. Here, as might be expected at the SCOTUS level, both the petitioner’s and respondent’s briefs earned roughly equivalent, high scores. The biggest differences were on flow, where Respondent’s brief scored 91 to Petitioner’s 65, and on Plain English where Petitioner earned a 91, 9 points more than Respondent’s 83. These final screenshots show the summary report. Not surprisingly based on the above scores, the Report recommends that Respondent cut out some of the jargon to simplify the language. For Petitioner, the Report compliments the brief for “relatively short sentences,” — a factor that may have also contributed to the lower flow score. 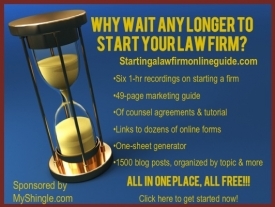 I’ve tried many general editing tools as well as those purportedly for the legal profession. BriefCatch exceeds those tools because of its multi-dimensional functionality. In other words, BriefCatch doesn’t just look at grammar and sentence length, but also at the document in its entirety. BriefCatch also offers alternatives for edits so that you can pick the one that works best. A list of BriefCatch’s functions can be found here . Because BriefCatch was developed by a seasoned legal writer who also reads A LOT of briefs (Ross can identify some judge’s simply by the catch-phrases they occasionally use), I had a high level of confidence in the results. With some of the other tools that I’ve tried, it didn’t seem like the quality of the document improved overall. BriefCatch serves as a valuable tool for solos and smalls for several reasons. First, many solos don’t have colleagues who can offer feedback on briefs, so BriefCatch can fill that void. Second, solos can also use BriefCatch to help law clerks and young associates improve their writing skills. Many times, when I receive a memo or motion draft from a student clerk or young associate, I don’t have the time to do much more than frantically edit it into useable copy. Unfortunately, although my associates may see the document scarred with red ink, they don’t know why I made the changes. BriefCatch explains the changes that it proposes and the weaknesses in a document and thus, it can serve as a teaching tool for busy lawyers. Finally, BriefCatch is available as an affordably priced subscription service. Perhaps the most significant drawback of BriefCatch right now is that it is not yet available for Macs. That said, even though I am a Mac user, I liked BriefCatch so much that I plan to purchase a PC so that I can use it. As described in his interview , Ross has plans to make the product platform agnostic, but for now, BriefCatch’s availability only as a Word add-on is an unfortunate limitation to an otherwise outstanding product that should be part of every lawyer’s writing arsenal.